Andy Boychuk is a Saskatchewan politician who has recently become the leader of the Opposition party in his province. There is a picnic to celebrate, but just as he gets up to speak, he drinks some water and falls to the floor. His close friend and colleague, Joanne Kilbourn is nearby and rushes to attempt CPR – to no avail. On this hot summer afternoon, her life changes. Andy's death is clearly murder, and she wants to know who has done it. Preparations for the funeral introduce us to the politician's wife and the other party members who were his support group. We learn of tragedies that have occurred in both the victim's life and Joanne's life. Joanne has three children, one about to move away to college. She is widowed and lost her husband three years earlier as the result of a senseless act of violence. She decides to step away from politics and campaigning for a while and write a biography of Andy. In searching deeply into her friend's past, she stumbles on secrets and clues to the reason for his death. Joanne tells this story in first person narrative. She doesn't really function as a sleuth in this book, as she is never actively looking for the murderer. Many people suspect Andy's wife, because of her weird behavior, but Joanne does not believe she is capable of that. 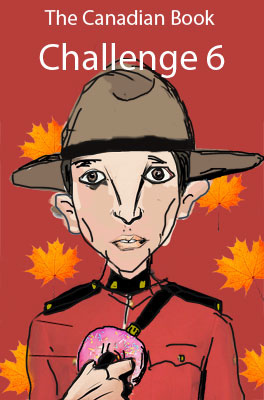 I read this mystery for the Canadian Book Challenge 6. I enjoyed learning about the Saskatchewan area. The politics of that province were an element in the story, but I never caught on to the workings of politics and the government in Canada. Thus I did not understand the importance of some of the occurrences. Or maybe it is just that I have never understood politics anywhere. As in Anthony Bidulka's books about Russell Quant, also set in Saskatchewan, several of the characters have Ukrainian backgrounds. This almost did not feel like a mystery to me. Sometimes those are the best kinds of novels. There is a death and it is clearly murder. There is an investigation, and the reader knows that long hidden secrets will be revealed. But mainly this is the story of a woman grieving for a friend and a colleague she respected, and dealing with a life turned upside down by the loss. And it was the telling of that story that was most engaging to me. This book is the first in a series of fourteen books. It was published in 1990 and the most recent book in the series will be released in the US in August 2013. I will be interested to continue the series and see where it takes Joanne. 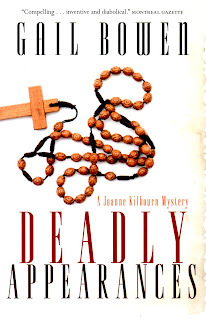 Margot at Confessions of a Mystery Novelist... profiles this book. Bill at Mysteries and More from Saskatchewan provides his insights on the book. I often find that this kind of political mystery is lost on me because I don't understand the nuances of the politics of the particular place where the book is set. That said, this sounds like a good read - I like the way you make it sound as if the mystery element is fairly subtle rather than an outright thrilling chase to find the killer. And so many more in the series to catch up on! I'm surprised I've never heard of these before. 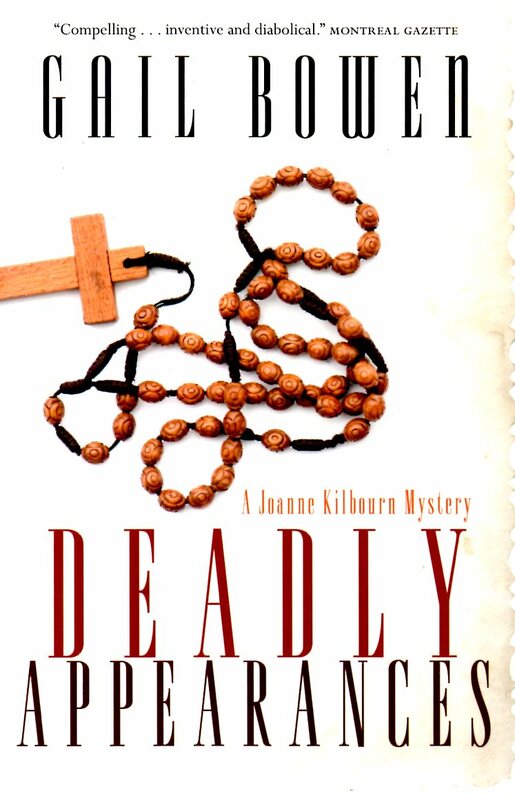 This is one of several Canadian mystery authors I had not heard of until after I started the Canadian Books challenge. Her books have been reprinted fairly recently, so maybe she will get more exposure. Definitely not a thriller. I will have to see if I can find this book, Tracy! Sounds interesting. I've not really read any political settings but I might like it! I do think you would like it, Peggy. It is set in the world of politics, but there is also Joanne's family life, which I did not emphasize here. I've been meaning to read Gill Bowen for a while based on Margot and Bill's reviews. And now yours. I'm not sure how easy her books are to find in the UK but I must have a go. Definitely an author worth trying. Similar to the Eva Hudson book I read, without the thriller aspects. TracyK: Thanks for the mention. I have enjoyed all the books in the series. Gail does a wonderful job of evoking our province. Bill, I know you are a great fan of Gail Bowen and there is a lot of information on your site about her. I look forward to reading more in the series. Tracy - Thank you for the kind mention. One of the best things about this book to me is the set of characters. I especially like the way that Joanne Kilbourn manages her home life, the investigation, her work and her grief at both her husband's death and the loss of Andy Boychuk. You've done an excellent review here, for which thanks. Margot, I am glad that both you and Bill pointed me toward Gail Bowen as an excellent Canadian mystery author. I liked the uniqueness of this book -- and look forward to seeing what the next book brings. It is a nice cover. The new reprint editions are nice. I am looking forward to trying the next couple in the series. Especially in this case, I want to read them in order.